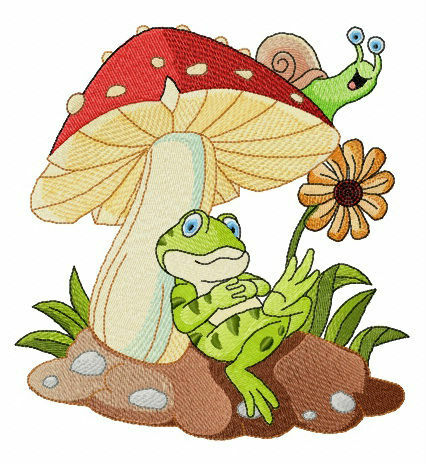 Check out this hilarious machine embroidery design we’ve just added to our extensive frog collection! 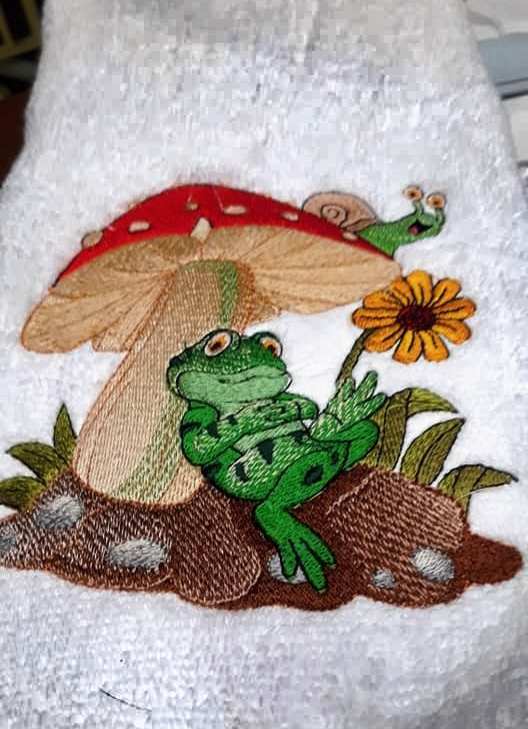 It features a delightfully comical frog having a rest under a large amanita mushroom and looking quite thoughtful. A tiny snail is peering at the frog from the top of amanita. Color choices include pumpkin, toast, saffron, erin green, ultra blue, charcoal, melon and marigold. 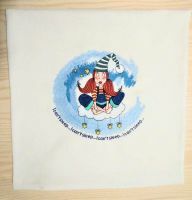 You can stitch out this application to any items of your choice, for example blankets, napkins, towels, cushions, bibs, rompers, onesies, pajamas, T-shirts, quilts and more. It works nicely with most suitable fabrics. No need to order designs again. You can change your format at any time on the design download page. 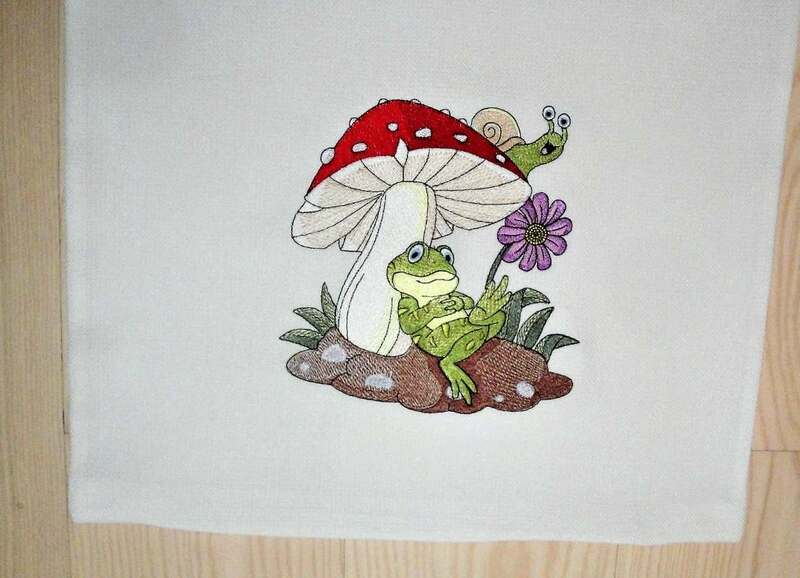 How to do this you can read here https://embroideres.com/support#8829 . Now we have changed the format to PES. You can simply load your order. I have successfully downloaded my designs onto my usb stick. I am having problems with downloading the designs into my machine. I have tried to download them individually into my stick, then as a zip file and I still don't have it showing up in my janome 350E. The stick shows no design on it. It's blank. But when I look in the usb stick on my computer I see them all. 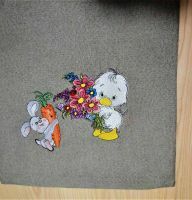 In order for the embroidery machine to see the purchased machine embroidery designs, you must unpack the archive. Embroidery machines do not understand zip format archives. We sent your designs by email in the usual way. It is important, before saving files to USB storage media, you should save them to your computer’s hard drive. And only after that transfer them to removable media. You can also upload files in a non-archived form from the order history one by one. Which design you wish purchase? 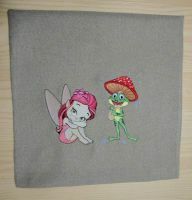 In community only free embroidery designs.